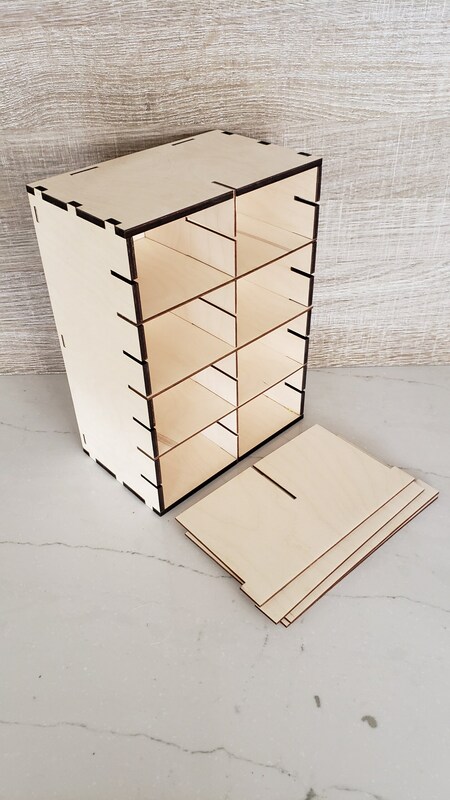 This cubby is designed to hold 16 cell phones during class. 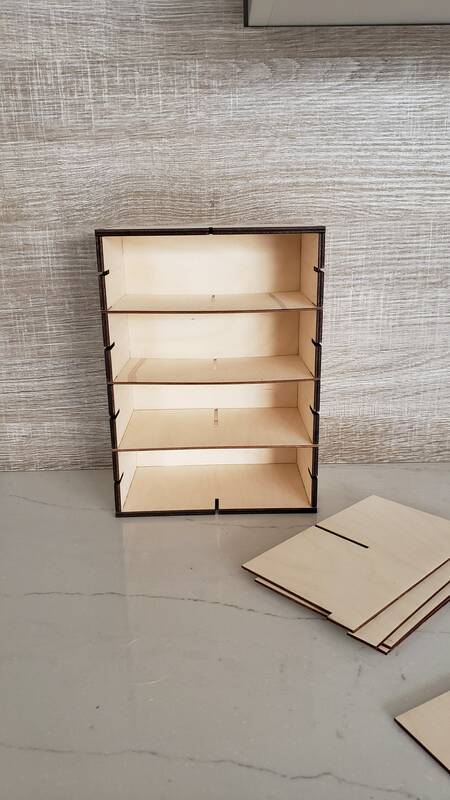 The case is made out of 1/4" baltic birch and the shelves, dividers and back are made out of 1/8|" baltic birch. 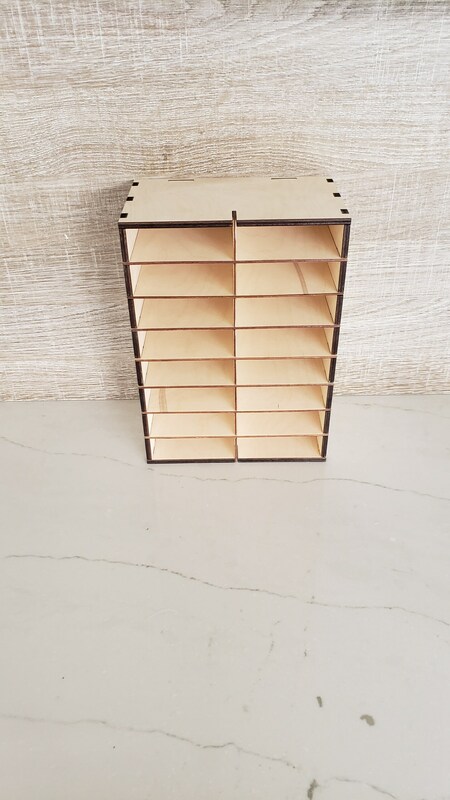 With all shelves and divider in you get 16 cubbies that are 3 5/8" wide by 1 1/4" tall x 4 5/8" deep. 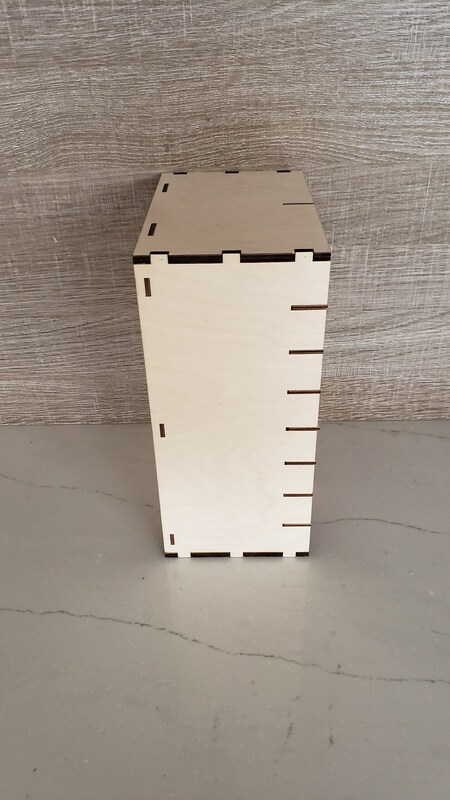 With just the vertical divider in you get 2 cubbies 3 5/8 wide x 10 1/2" tall x 4 5/8" deep. 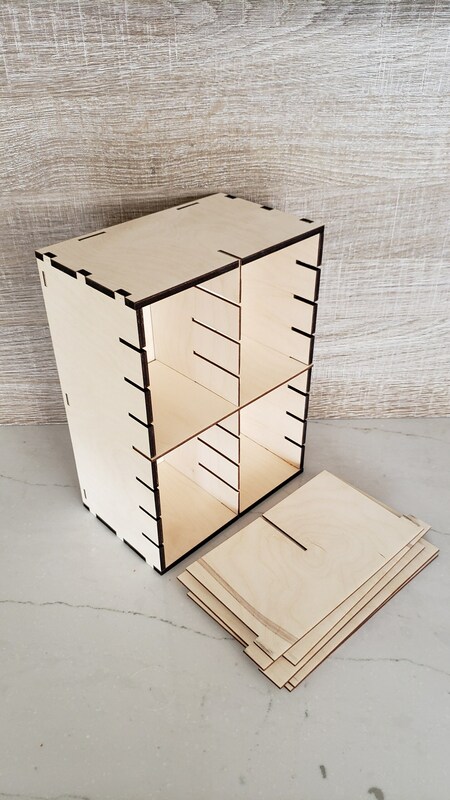 with the one vertical divider and one horizontal shelf you get 4 cubbies, 3 5/8" wide x 5 1/8" tall x 4 5/8" deep. 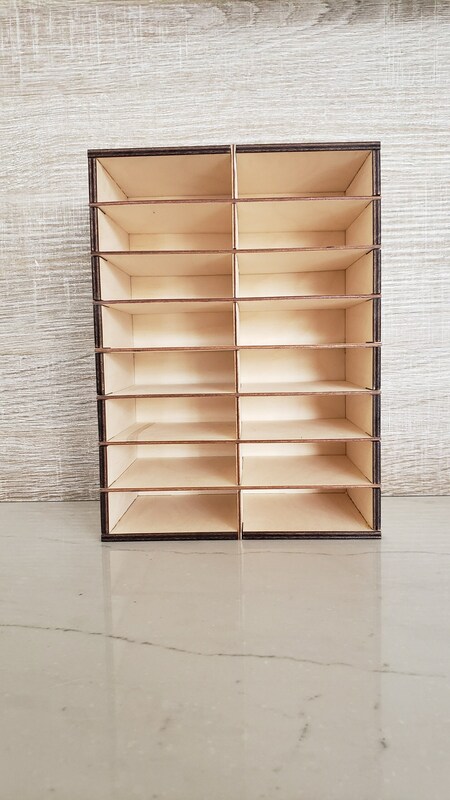 With 4 equal spaced horizontal shelves and no vertical divider in you get 4 cubbies that are 7 1/2" wide by 2 1/2" tall by 4 5/8" deep. 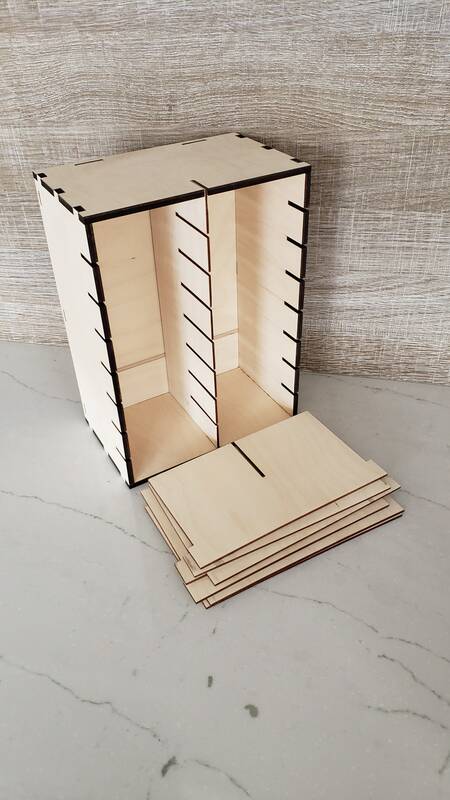 This cubby is designed with maximum adaptability in mind.